Now these are probably the most unhealthy thing any one could ever consume, but boy, do they taste good. The meal idea came from the oh so tasty Johnny Carino's. My family use to go there all the time to eat, and they are seriously the best. Although they are kinda pricey, and the closest one is in Sandy, so my mom started making it at home. pasta chips, black olives, pepperoncinis, tomatoes, jalapeños, alfredo, mozzarella and parmesan cheese. Looking at their menu, it's really not that pricey, but whatever. We put a lot more alfredo and mozzarella on ours, so ours is better. 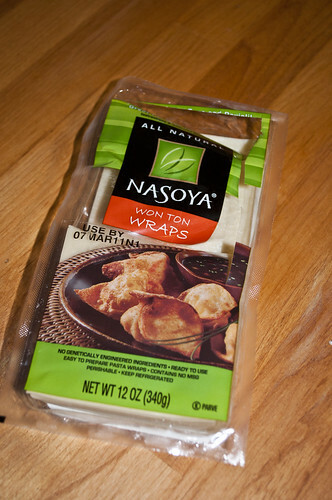 For the "pasta chips" we use Won Ton wraps. 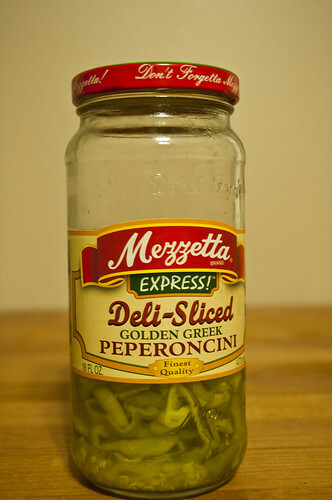 You can find them in the refrigerated produce section (I always buy them at Smiths, so I don't even know if Walmart has them) This package is just under $4 and we can make two (really large) Italian Nacho dinners with it. We usually just put chicken, tomatoes, alfredo, mozzarella and "Banana Peppers" on them. I can not stand alfredo in a jar, so I make my own. It so easy and a million times more tasty. I use crushed rosemary, about a tablespoon of olive oil, 1 little thing of chopped garlic. I brown the garlic and the rosemary in the olive oil (you could use butter if you wanted to instead) and I use probably about 1/2 cup of heavy cream and just a few handfuls of parmesan cheese to help the sauce thicken up. Be sure to start the alfredo first as it takes the longest to took. 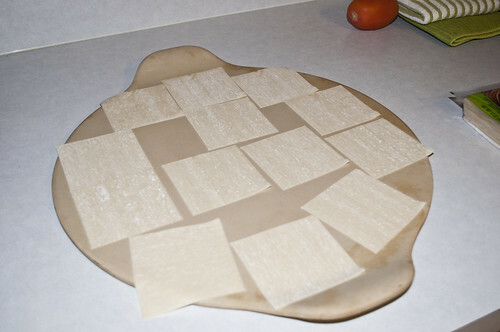 I bake the won ton wraps. You can fry them, but we prefer to bake them. I just broil them till they are brown. 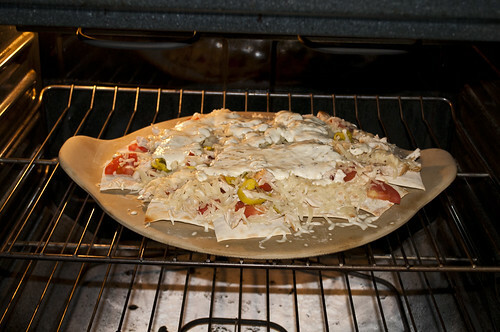 Be sure not to make them too brown because you will be putting it back in the oven to melt the mozzarella. Yay for a super yummy, super easy, and super unhealthy meal.